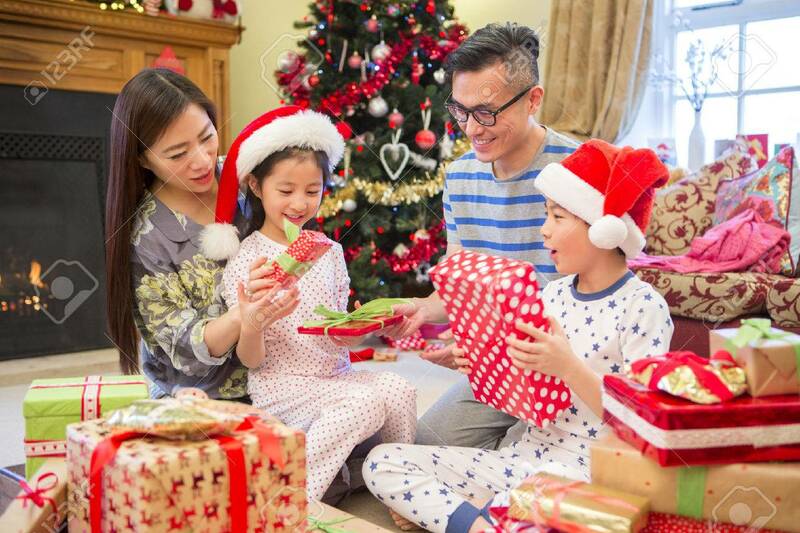 Chinese Family Opening Presents Together On Christmas Morning. They Are All Sitting In The Front Room In Their Pyjamas, In Front Of The Tree. Royalty Free Fotografie A Reklamní Fotografie. Image 58332000. Reklamní fotografie - Chinese family opening presents together on Christmas morning. They are all sitting in the front room in their pyjamas, in front of the tree. Chinese family opening presents together on Christmas morning. They are all sitting in the front room in their pyjamas, in front of the tree.